8TFive Studio is an architectural design firm that provides affordable small scale services through innovative technologies. Since 2013, we have worked with contractors, architects, and interior designers to balance efficiency and creativity and provide our clients with the highest quality service at affordable rates. Our mission is to redefine conventional architectural design services and embrace an unhindered exploration of innovative, collaborative and imaginative design strategies and solutions while providing clients with the excitement and satisfaction of sustainable and responsible design. We love what we do and constantly strive to advance our skills, knowledge and design thinking against any project challenges to discover new opportunities for our clients. Our projects range from traditional to modern under both new construction and renovations. Whether residential, commercial or recreational, our company brings a thoughtful approach to sustainability with LEED (Leadership in Energy & Environmental Design) certification and expertise in BIM (Building Information Modeling) analysis to provide our clients with a better understanding for the project, its performance and costs. Contact us today to discuss your project. Michael J. Silva Architecture is a full-service architectural firm serving Massachusetts and Rhode Island focusing on custom residential, new construction, additions, renovations, and small commercial projects. Joseph Bergin Architect P.C. 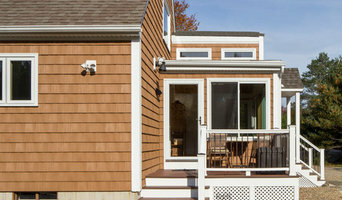 is an accomplished architecture firm in Essex CT serving new house, addition and remodeling projects in Connecticut and surrounding regions, with many projects situated in the lower Connecticut River Valley and along the Connecticut and Cape Cod shorelines. 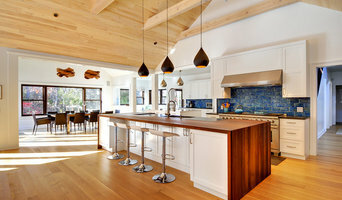 I am Joe Bergin and I have practiced custom residential design for more than twenty-five years. Over that time, my knowledge of building codes, local zoning principles, coastal regulations and energy efficient building practices has become expansive. Through the course of my career, I have served projects from the fabulous to the simple and the high end to the humble. While each demonstrates a unique outcome, they all share an underlying design process that employs the same thoughtfulness and applies the same principles of good design, with careful attention devoted to the stated goals and aspirations of each individual client. Stelle Lomont Rouhani Architects is an award winning and widely published firm with over 30 years of experience designing modern, environmentally sensitive houses. The firm is recognized for it's timeless, well detailed, and innovative designs that emphasize and celebrate their local surroundings enhancing their client's way of life. Stelle Lomont Rouhani Architects is compromised of an experienced team of architects and designers working together in a collaborative studio environment towards the success of each project. A regional leader for 35 years, Saltonstall Architects is a full-service architectural firm located in Marion, Massachusetts. Our award-winning architectural design work explores creative, forward-looking concepts rooted in the traditional context and communities in which we live and work. The Saltonstall Architects staff is comprised of a family of energetic, enthusiastic, creative, and technically proficient individuals who listen to client needs and lead them through an interactive, focused design process. In addition to our in-house staff, we collaborate with a number of technical consultants who are woven into the architectural process as required by the specific needs of each project. Serving a diverse body of clients in the residential, educational, institutional, non-profit and commercial sectors throughout New England, our work balances thoughtful design, team collaboration, advanced technologies and sustainable practices.